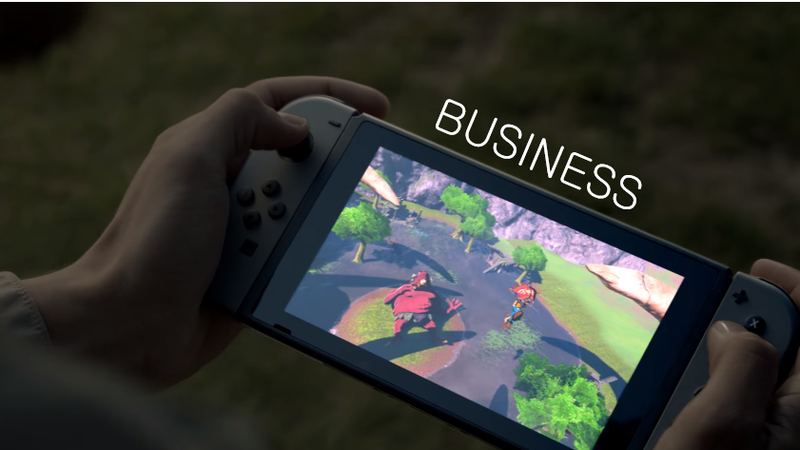 This Week In The Business: Who's Going To Switch? QUOTE | “I am most concerned about the target group of the device: who else but die-hard Nintendo fans will buy the Switch? The Switch lacks a killer feature, and I think it will be very difficult for Nintendo to win back the casual gamers that are mostly on mobile now.” - Analyst Dr. Serkan Toto is skeptical about the Switch’s potential for success. QUOTE | “It’s not the game, it’s the gun.” - Doom designer John Romero counters those who try to blame violence in the US on video games. STAT | 50,000 - The number of PSVR headsets sold in Japan in its first four days of availability. STAT | Over 140,000 - The number of HTC Vive headsets has reportedly sold worldwide since that device launched in April. QUOTE | “We don’t need as broad of an adoption in VR for it to sustain a AAA ecosystem.” - Survios head of studio Chris Hewish says high quality games can be made in VR without breaking the bank. The company’s co-op shooter Raw Data grossed more than $1 million in its first month on sale. QUOTE | “Believe your players when they say they’re not enjoying your game. Don’t believe them when they tell you how to fix it” - Ex-Failbetter Games head Alexis Kennedy offers advice on how indies can deal with their player communities. QUOTE | “Any strike would not only deny SAG-AFTRA’s membership work, but this would also give their competitors, who do not engage union talent, a leg up while any strike would be in place.” - A lawyer for a coalition of game publishers, in a press release claiming the voice actor union has violated agreements surrounding negotiations and is harming its members. STAT | 48% - The percentage of American gamers who are unwilling to spend on microtransactions because the benefits they receive aren’t worth it, according to an NPD survey. QUOTE | “What we see now - even in the movies - is that female main characters are more and more present. There are not as many questions. We have more freedom now.” - Dontnod CEO Oskar Guilbert, noting that his studio’s breakthrough hit Life is Strange is just part of a larger trend in entertainment. QUOTE | “I believe in generations. Generations are a good thing. So, philosophically, we believe in them. We believe they continue, and this is a mid-generation release.” - Sony’s Mark Cerny suggests that even if PS4 Pro and Project Scorpio seem like similar strategies, Sony and Microsoft have different visions of the future. QUOTE | “This could easily lead to a situation where the regulatory barriers and legal uncertainty would quickly crush the emerging field of augmented reality based technology, business and art in Europe.” - European Games Developer Federation’s Jari-Pekka Kaleva explains how different EU member state laws regarding whether you can take photos or use images of buildings and art in public space could impact game developers.